The test summary in the UI is a place where we display some basic information about tests such as which tests failed, or what the slowest tests were. 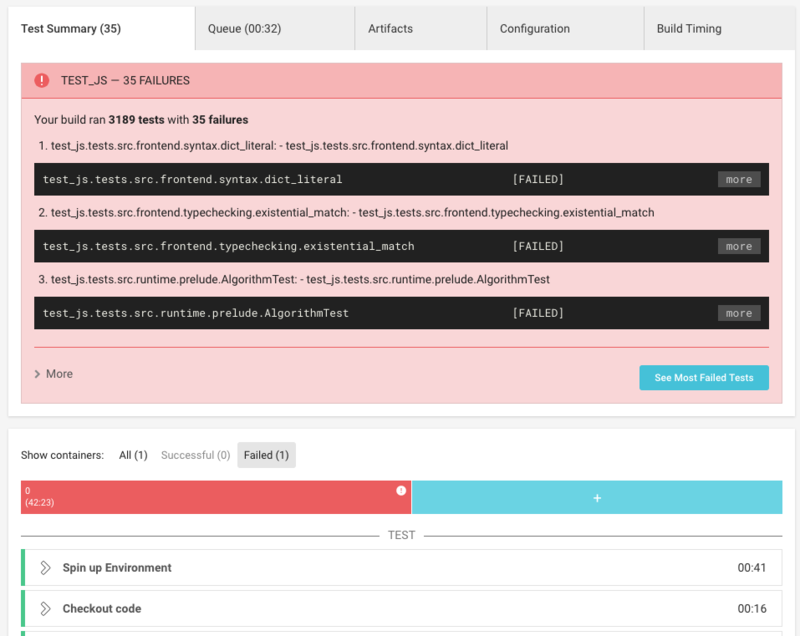 For basic configuration to set upå the test summary you can view our docs. This document will outline some caveats, limitations, and common issues people run into when trying to get the test summary working. The only test reporting format we support is JUnit. JUnit is not exactly a standard format, so each test reporting tool may output their JUnit differently. This can also be the source of some issues. Test data must be inside a subfolder of whatever path is provided to store_test_results. Test data subfolders cannot be hidden folders. test-results/.somefolder/report.xml would be ignored by our system. Test files larger than 15MB will fail to upload, though it will not show this failure in the UI. It fails silently in the background.